Hi, and first of all, huge kudos for working on a Linux version of Escribe ! Benchmark: Settings took 22.258 ms. Benchmark: Register took 15.7947 ms.
then nothing, the process is still running but nothing happens, I have to ctrl+c out. Tried this as root and a regular user, with the same result. Have you tried with the official .RUN file that James uploaded? Works great for me on Fedora 28. I didn't run it as root (so it doesn't get installed into my root directory) but rather authorized the superuser access when I connected the device and everything seems to be working. Yup the .RUN file is what I call the snap package. But I'm OK now, as I did a fresh Arch install for another reason, and it works fine now. just installed escribe on my Arch install, on a Dell XPS 15 with a 4k screen, that's the fairly messed up device monitor I get... Maybe it's hidpi fault? May I correct it in some way? GTK2 doesn't allow for proper scaling unfortunately. GTK3 would be able to scale/change the scaling for a single application when using the GDK_SCALE environment variable. Same here !... still : thanks much for this port. Also for reference, using Fedora 27. 1. Starting theme editor, selecting a Field element (say the battery percentage on my theme) and changing the Padding or Location of the element though the numerical values on the right side DOESN'T result in a crash. You can apply and upload the settings to your device. 3. Selecting this Field element, then selecting another Field element without doing any changes results in an instant CRASH. 4. Selecting the Field element and going to a Gauge element, DOESN'T result in a crash. You can go back and forth between those two without issues, but once you select another Field element it would CRASH as in the above scenarios. 5. Same for the Gauge element, I can move it around using the numerical values, but the moment I try moving with my mouse it would cause an instant CRASH. Found a bug in Component DeviceMonitor, menu Recording, trying to "Save all device puffs" makes the program crash with attached output. 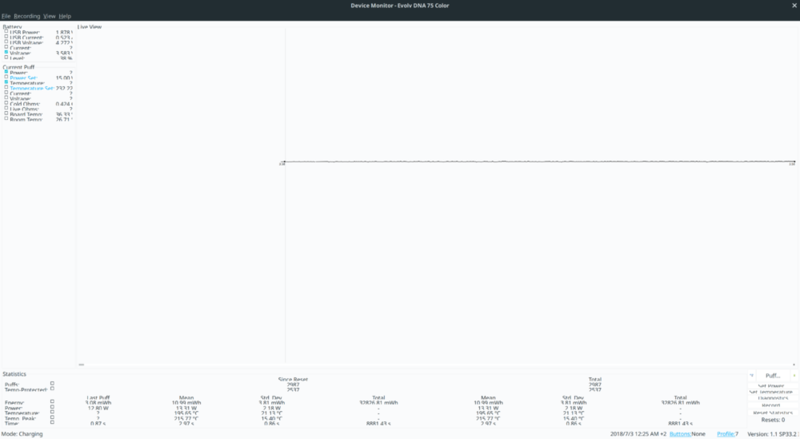 Thanks for porting this, working great in the limited use Ive made so far - Xubuntu - Device monitor uses ~100% of one CPU, not really an issue though. I can replicate the bug @Struktur has saving device puffs. Running on mint19. Just jumping in here to be subscribed to the thread. I've posted SP17 with bug fixes for the Theme Designer, and DNA Go support. Installed and can confirm no more crash on Theme designer. Thank you verry much for the update. Just a little cosmetic problem remains with this : it is supposed to launch a little popup-modal window with “Please wait” message and a progress bar. Under Gnome (tested both with Wayland and xorg), this modal window only appear as a thin and almost invisible rectangle (the window does not deploy to its full size). Now I just have to remember how to install run files & get everything else installed first. Ubuntu 18.04 So shouldn't be that hard. Haven't used nix in 5years so refreshing. I just hate winblows and that's what i previously used to update. Well wasn't so bad to install. Simple way is to just chmod it then ./SetupEScribe2_SP17_US.run asked to install dependencies and go from there. although i installed 2 of them already as 1 was not found and 1 was outdated compared to what i had. Per what the messages were. Will have to check it out tomorrow after i get time. I can't get it installed. I run Debian stretch with xfce. A doubleclick in Thunar or Nautilus (File-manager) opens vi. "Running on Debian or a Debian derivative. Checking for Mono... not found! Checking for GTK 2... found. Checking for GTK 2 Sharp... not found! Launching process to install dependencies." "gtk-sharp2 ist schon die neueste Version (2.12.40-2). mono-complete ist schon die neueste Version (4.6.2.7+dfsg-1)." Mind you yours may be slightly different. I had to google what to do so I didn't read thru the forum for tips. also after i ran it it asked and basically required me to install 2 more programs. which I thought I already did. hopefully my directions I just typed up are accurate as it has been since I posted that I last did it and used it. But I plan on possibly installing another distro some day soon and Will give it a shot again. Seems i was not patiently enough. Now the installer worked despite the error-message. I connected my Wismec Releaux after updating the udev-rules and reloading them. Still get the message "Kein kompatibles DNA Gerät verbunden." means "No compatible DNA device connected"
Sadly I can't help with that. Hopefully someone else has info on it. Was super excited that there is a starting of a linux version of escribe. I just generally change temp settings etc. Decided to hook it up. First i plugged it in then I ran escribe clicked escribe it popped up a message I click yes then enter password. After entering password it showed my dna 250 and downloaded settings. 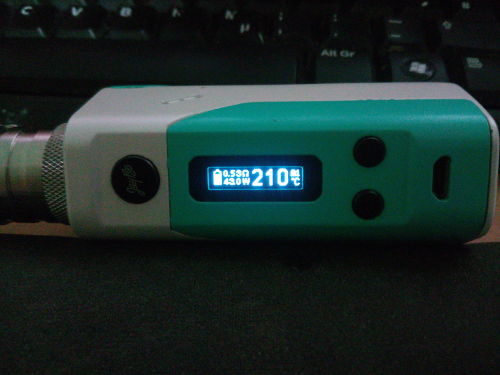 I connected my Wismec Releaux﻿ after updating the udev-rules and reloading them. 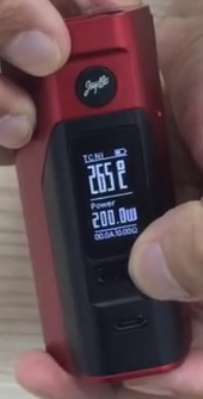 Does your Wismec Releaux have a DNA chipset in it or is it the device that has a non-DNA chipset? If the screen looks like this it is not a DNA.... if it looks different can you post a picture of it?